Picasso’s Puke: of the millions of bands the world has ever seen, they are one of them. 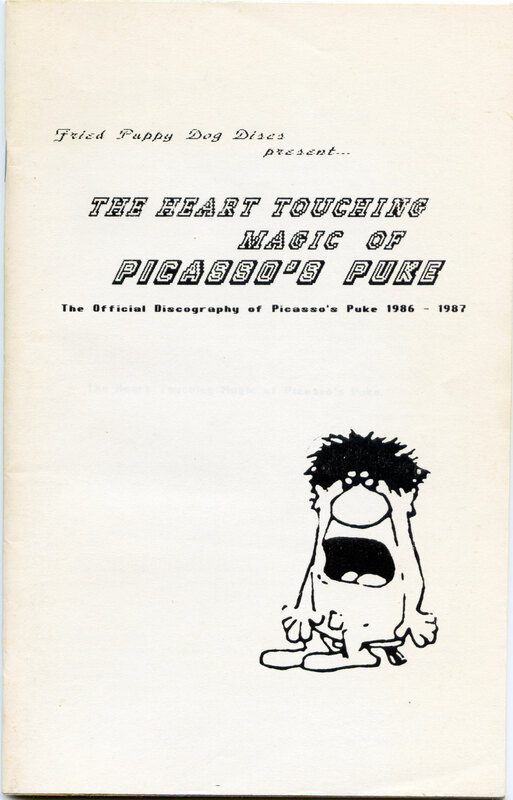 “The Heart Touching Magic of Picasso’s Puke” is an official publication, fully approved by the band, telling their story right from the very beginning. It showcases stunning moments in the band’s history through photographs, as well as truly unique pieces of memorabilia from the private collections of the Puke’s members. This tribute will give fans unprecedented access to all areas, and the chance to get their hands on some fascinating, intimate memorabilia for the first time ever. Originally published in 1987, the 2013 update will be available for the first time as an eBook for iOS, Android, and Kindle devices.